The Secretary General of the Commonwealth Local Government Forum (CLGF) Carl Wright is currently on a short tour of the Pacific as part of his annual visit to the region. Currently in Fiji, Wright will have a series of meetings with development partners including the Pacific Islands Forum Secretariat, UNDP and the Fiji Ministry of Local Government, Urban Development, Housing and Environment. 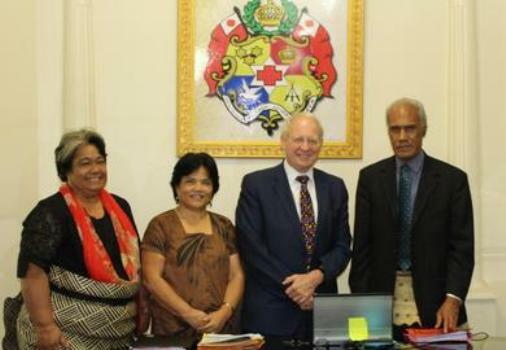 The main purpose of the visit is to meet with CLGF’s Pacific members and to discuss the work of CLGF throughout the Commonwealth, in particular how it relates to the Pacific. Wright began his Pacific tour with trips to Tonga and Samoa last week, where he met with Tongan Prime Minister ‘Akilisi Pohiva and later the Samoan Prime Minister, Tuilaepa Malielegaoi.